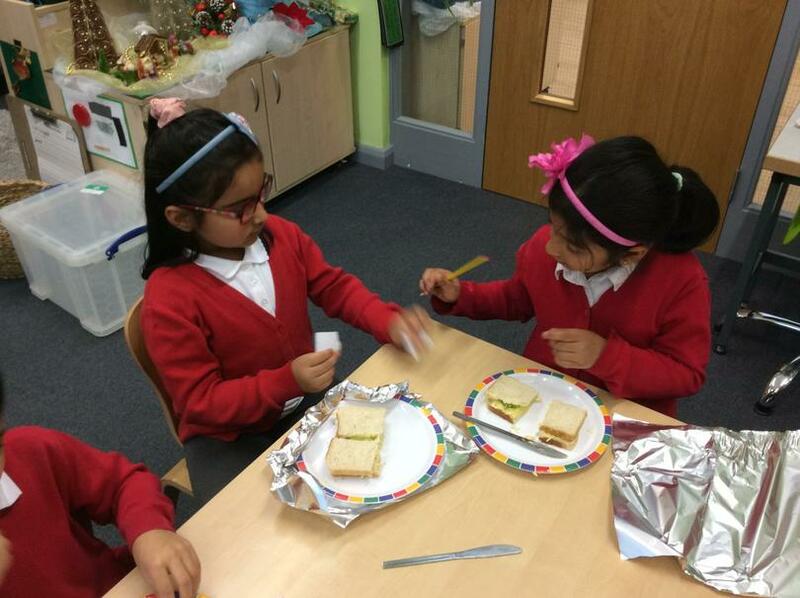 We have been writing for a variety of purposes. 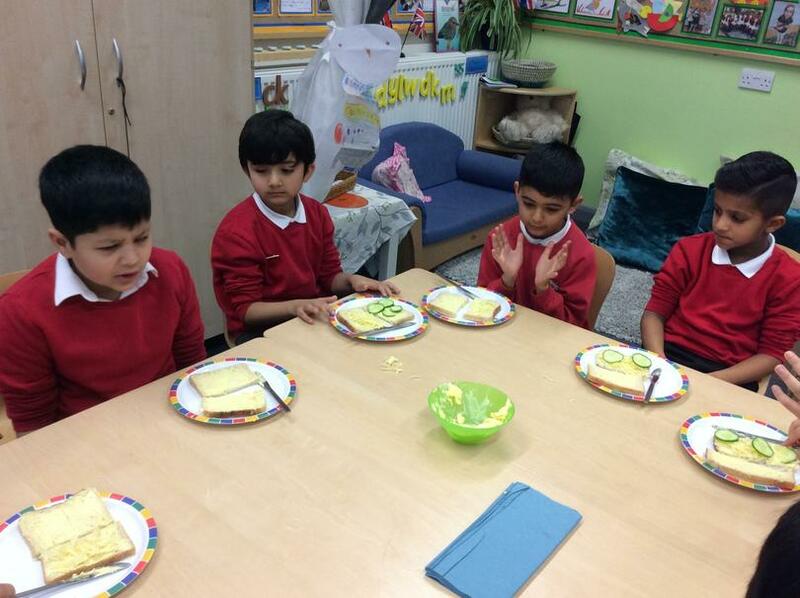 Here is a sample of our learning in Maths this half term. 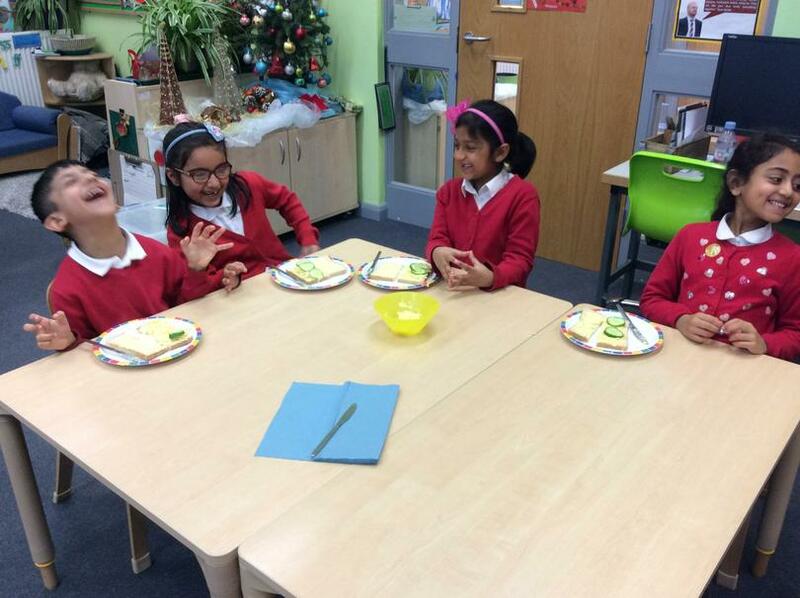 Mr Edwards showed us how to make Christmas card illustrations, using chalk pastels. 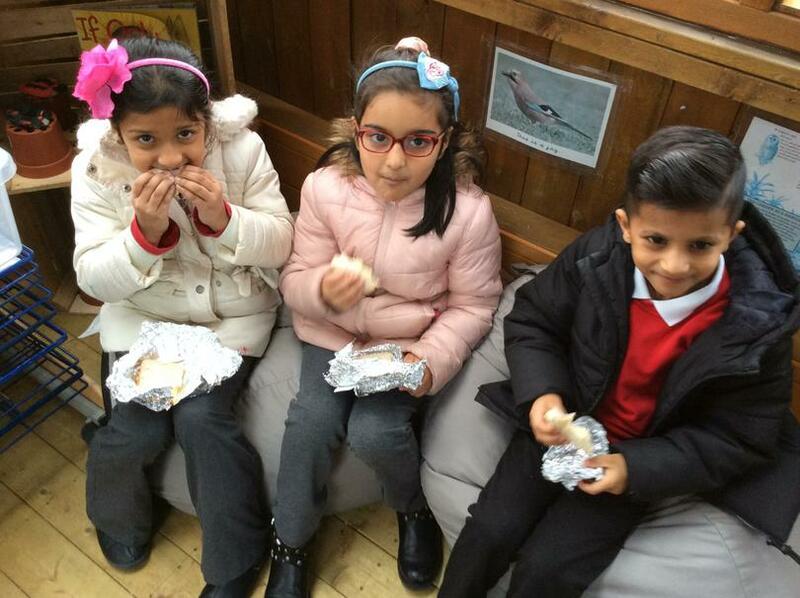 We are going to send them to our friends at Sacred Heart School, in Colne. 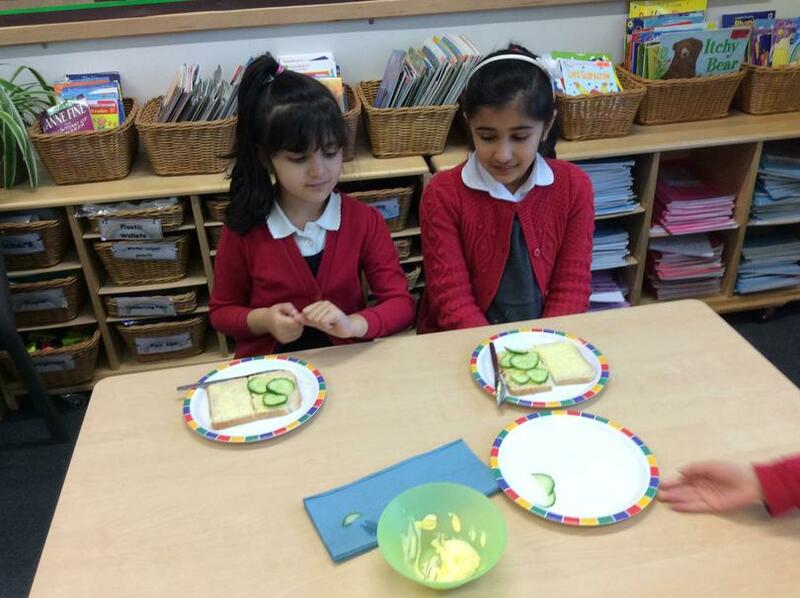 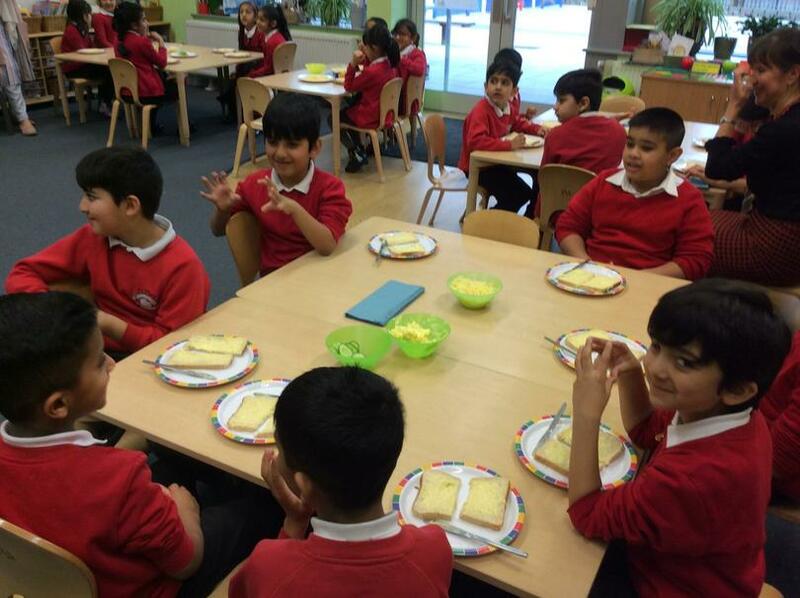 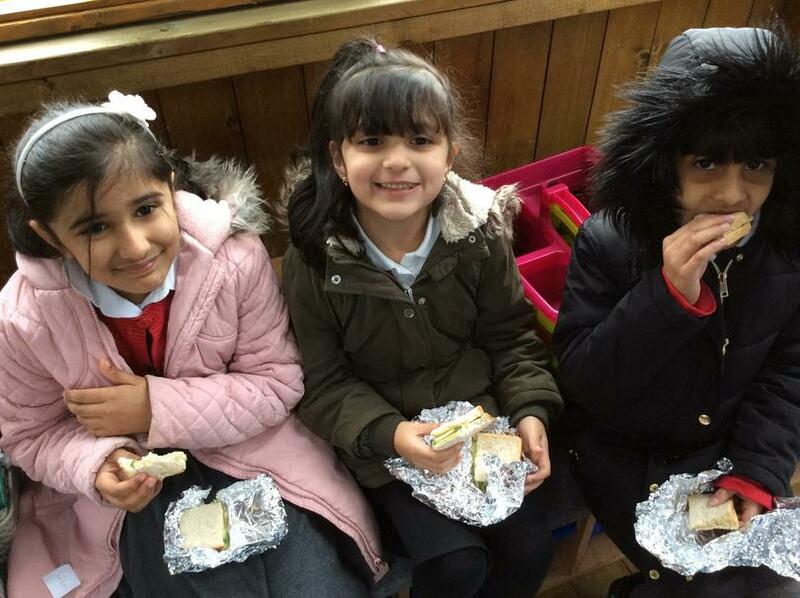 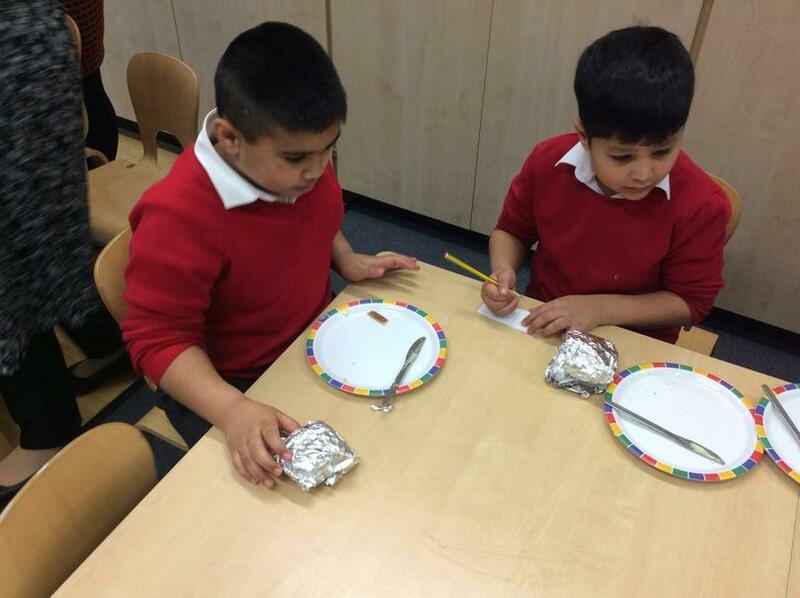 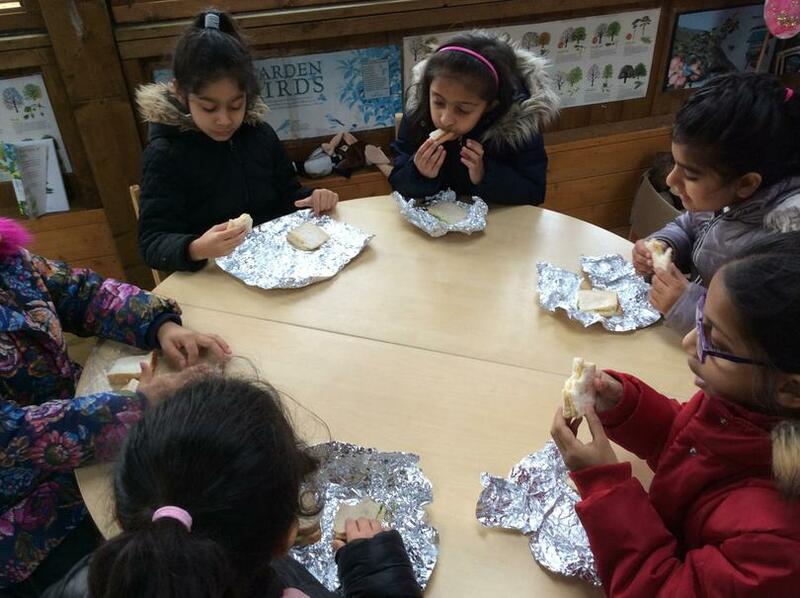 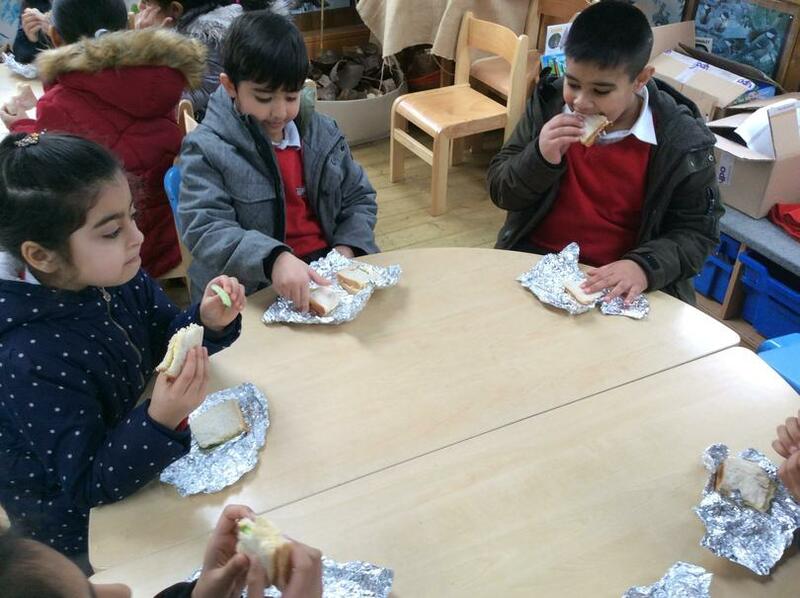 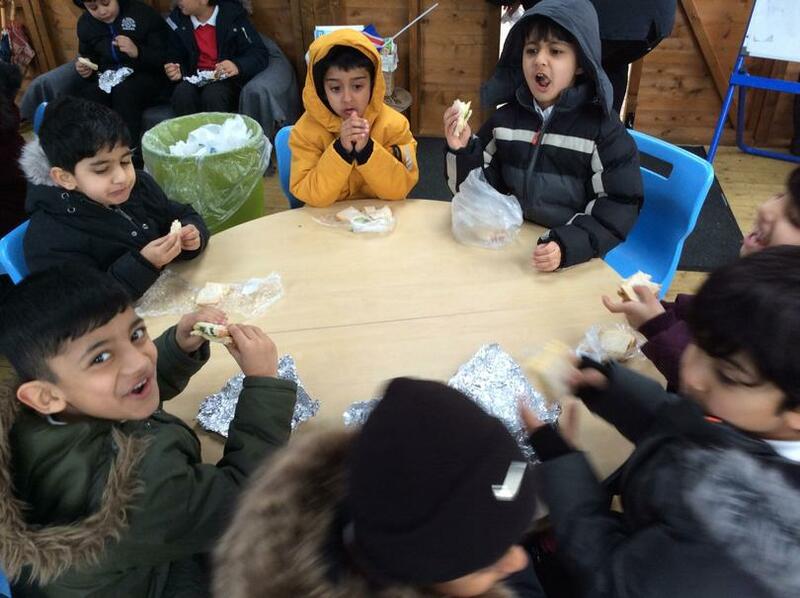 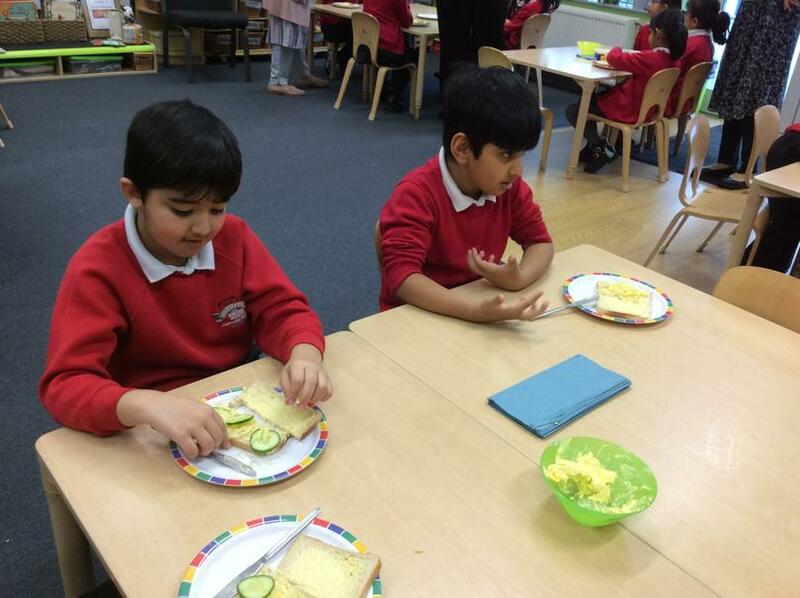 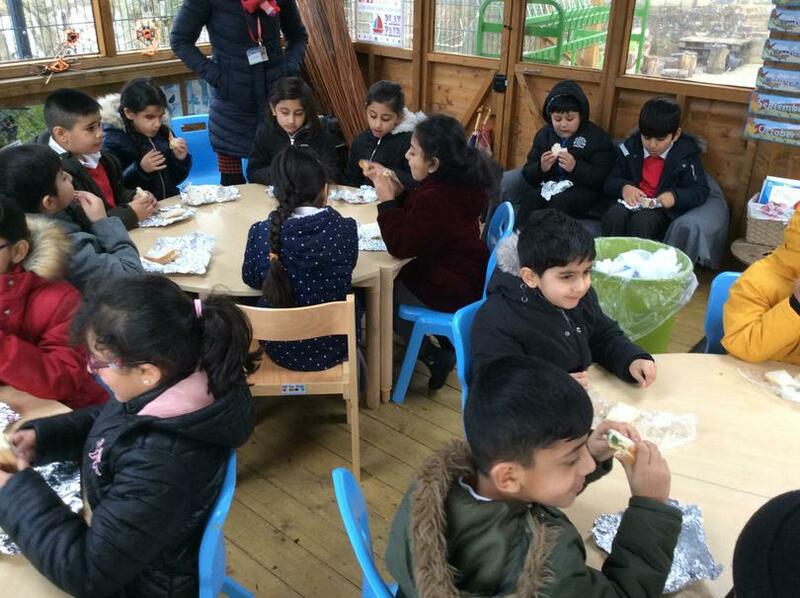 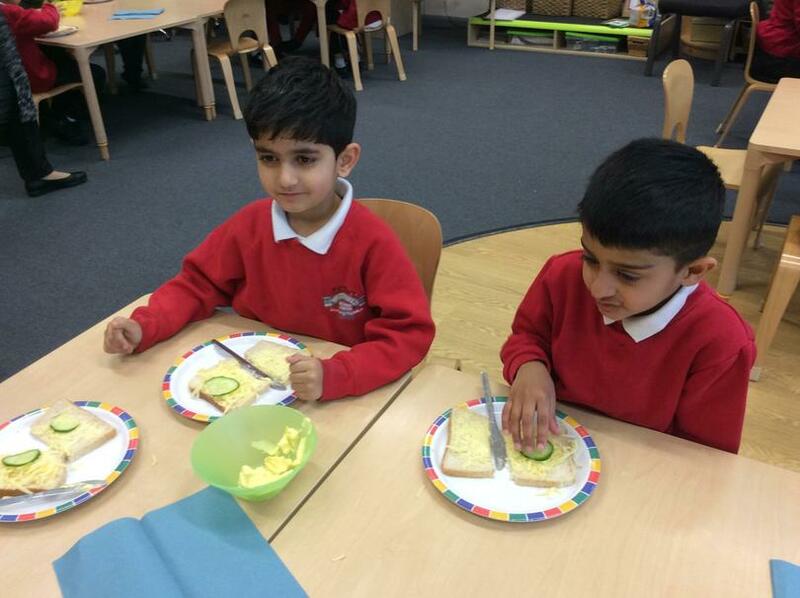 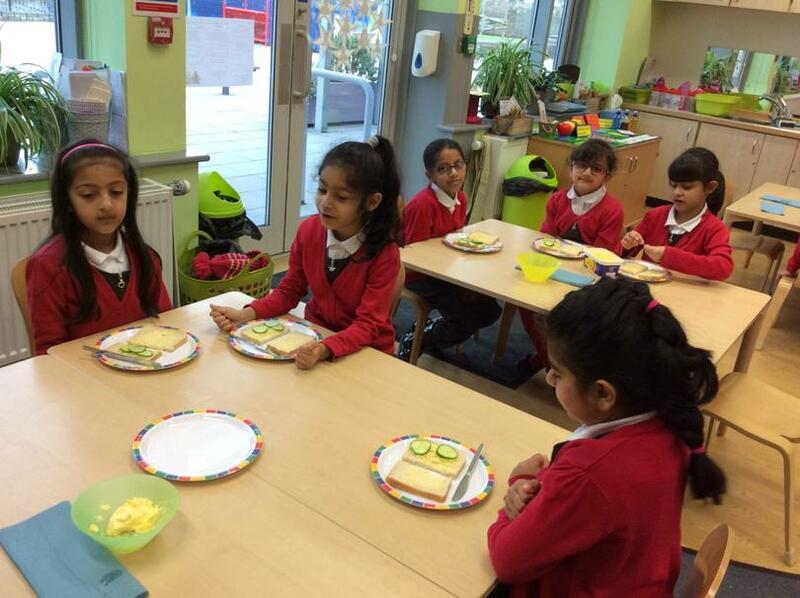 We made our own cheese sandwiches and wrapped them up to take on our exploration. 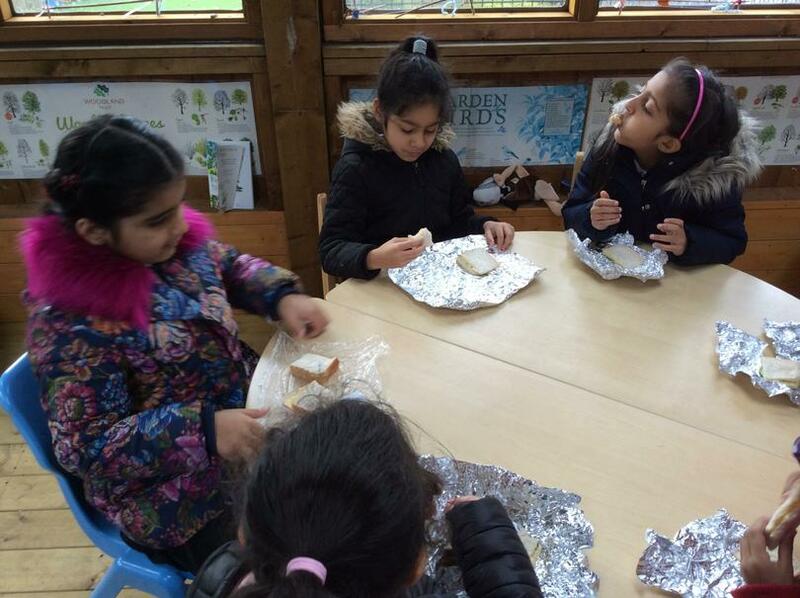 We have been learning about the continents of the world.